Based on classic Danish design, the SLIM SOLAR COLLECTION represents a unique timepiece creation, which runs on the power of the sun. The perfect mix of elegance, minimalism, and eco-friendliness, suitable for any occasion. 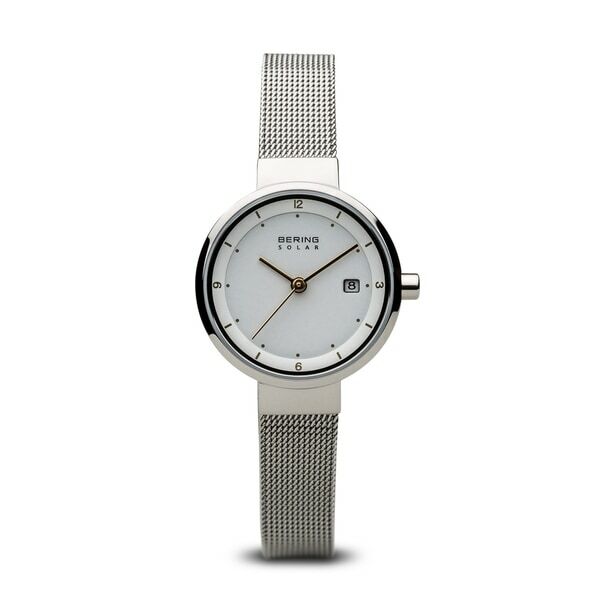 The light and ultra thin SOLAR watch sits softly on your arm and is characterized by fine details and a delicate silver-toned IP plated Milanese mesh strap. A special feature is the rechargeable battery, which is charged by any kind of light and lasts for 6-12 months on a single full charge. The timelessly beautiful case is made from polished silver-toned IP plated stainless steel. Under the crystal clear, hard and scratch-resistant sapphire crystal is a white-toned dial with gold-toned indices and hands, ensuring an elegant and sophisticated appearance. Dimensions 8.78 In. X 1.02 In. X 0.28 In.